They fit perfect and are very comfortable! Exactly what I was expecting, the support on the heel is great and the wrap my feet very well. 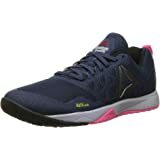 They don't perform quite as well for heavy lifting compared to a traditional weight lifting shoe, but that was expected. 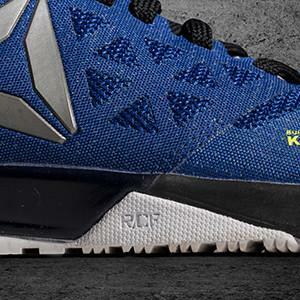 Add innovation to the much-loved list in this reebok cross fit nano 6.0. This update's re-engineered anatomical design makes for a more locked-in stability that functions flawlessly through woods. Plus, the precision details like the textured rope pro+ shank let you tackle cross fit-specific activities with confidence. 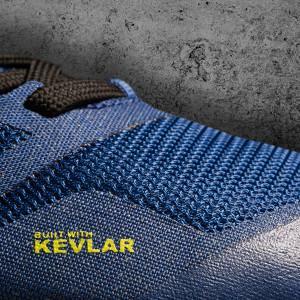 A kevlar®-infused upper ratchets up the durability for one unforgettable shoe. 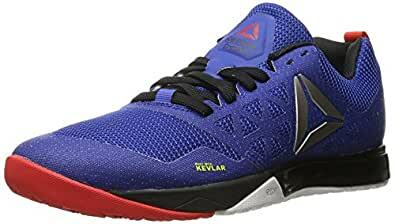 I did a lot of research before replacing my old gym shoes and settled on Reebok's Nano 6.0, a Crossfit shoe. While I don't do Crossfit, you gotta admit, if these Kevlar-lined shoes can withstand that stuff, my regular lifting should be easy. I like that Reebok has been perfecting this shoe and their research and market feedback has been included in the product design. They have a flat sole providing maximum, level support from the ground up. They're light weight and breathe. They look decent, too. But, they're holding up well for this 270-pound bodybuilder, and the workouts I subject them to. I agonize over shoes. They need to be just right. 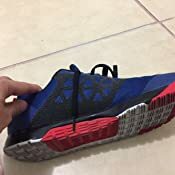 I'm taking the time to write this review because the Nano 6s are not only the best Nanos ever, but they're the best training shoe I've ever worn. 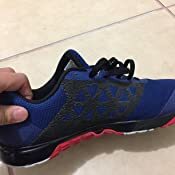 I'm a longtime wearer of Inov8 235s, and was looking for something more substantial. 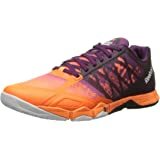 I tried these, the Nike Metcon 2s, the Reebok JJ Watts, and the new Inov8 235s. Every shoe was returned but these. 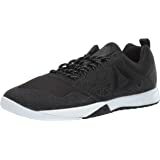 Fit: These are the first Nanos to fit my flat feet, and the fit is excellent. There is just enough room in the toebox, great support around the arch, and no slippage in the heel. I couldn't ask for better. Buy your regular shoe size. Looks: Highly subjective. 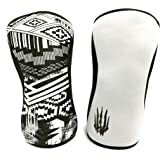 I like the white color way, and the newly released "stealth" one. Go with whatever matches the socks you train in. Performance: Stable, but able to be run in. The grip is fantastic. No hotspots, no blisters. Price: Pretty great--you can find them for cheaper off Amazon, but without the great return policy. Cons: Not much here--I guess I don't like the CrossFit branding on the heel. 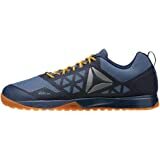 4.0 out of 5 starsGood Crossfit/running shoes. I wear size 10, but bought size 10.5 for the extra wiggle room in the front. They felt a bit tight in the width and the right shoe initially hurt squeezed my foot, but felt find after a few uses. 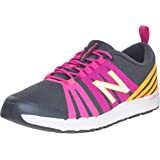 I'm currently trying to run about half a mile 2-3 times a week and need the arch support to avoid shin splints that I'm very susceptible to. So far, these shoes have helped me not injure myself again. I'm very happy with these. They fit well and feel good on. They are light but have good support. 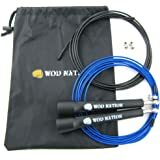 I use them for running and running HIIT. By coincidence, my son-in-law bought a pair, too, and he's also very happy with his. I read a lot of reviews before trying these and I'm glad I got them. Had these shoes for several months now and I like them. I wouldn't run more than about 800m at a time in them as the soles are firm for lifting and jumping. 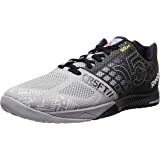 For crossfit workouts they provide a nice wide toe box and good support for lifting. 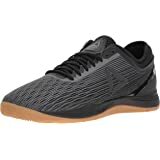 So, up until I bought these, I had the Nano 4's. I got these in the same size, figuring that they'd fit the same. The 6's are a bit smaller. At first I thought this would be a problem, but they actually fit better. The fact that they're more snug only helps with stability during lifts and they are still comfortable while running. They are also likely to stretch out a bit, so definitely order your true size. I love these shoes! I was a big fan of the nano 5.0 and am very pleased with this latest version. 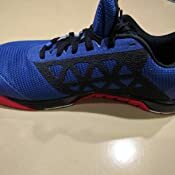 I use these shoes to teach a variety of HIIT classes at fitness clubs, so it's very important that they offer good support, stability, cushion, and long wear. I had read another review that noted the 6.0 has more cushion, and it might, but for me, it could just be that my old old pair of 5.0s, after nearly a year of pretty heavy use, just don't have the cushion they used to. 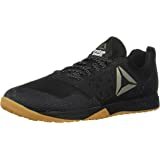 Otherwise, they've got the stability and support I'm looking for and the wider-than-normal toe box the CrossFit series are known for, all of which works for me. They felt broken in very quickly after some light weekend wear. I did add Superfeet Green Insoles, but I do that with all my athletic shoes due to my high arches and periodic plantar fasciitis. I definitely recommend these. These things are amazing, but I would suggest getting a half size higher as they fit pretty snug. 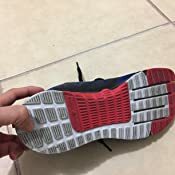 I have wide feet that tend to get swollen when I workout and are hitting the edges of the shoe. Otherwise they feel great when doing deadlifts as well as any cross training. Love that I dont have to feel like im going to topple over when box jumping anymore. These were a great price on Amazon when I got them and they look great on top of it!